Part of President Roosevelt’s New Deal program was the Civilian Conservation Corps (CCC). It was a public work relief program designed to provide jobs for young men during the depression. They worked on projects related to the conservation and development of natural resources in rural lands owned by federal, state and local governments. The program ran from 1933 to 1942 and implemented a general natural resource conservation program in every state and territory. It appears that we may now have a modern day successor to this program administered by NOAA called the Gulf of Mexico Coast Conservation Corps. The Deepwater Horizon oil spill had a negative effect on the coastal habitats of the Gulf of Mexico. Beaches, marshes, oyster reefs, and other habitats were exposed to oil, affecting the plants and wildlife living in those areas. NOAA announced in December of 2016, the availability of up to $7 million for grant funding provided for under the RESTORE Act to implement a Gulf Corps program. 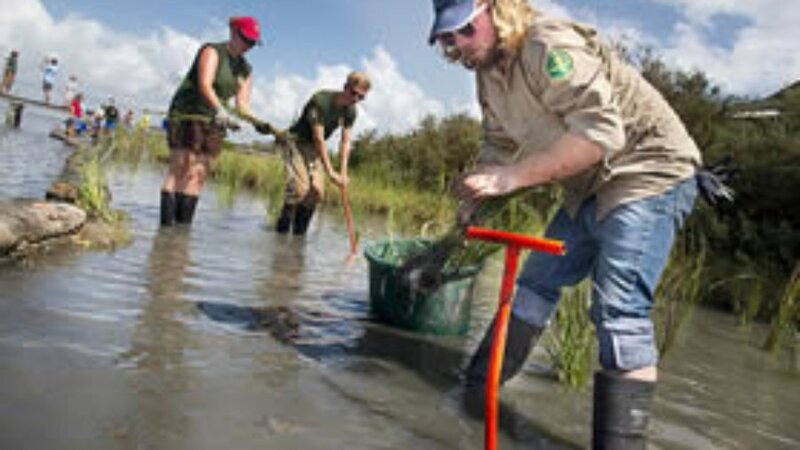 The funding is to be used to develop a Gulf wide conservation corps that will contribute to meaningful Gulf of Mexico ecosystem restoration benefiting coastal habitat and water quality in each of the Gulf states (Texas, Louisiana, Mississippi, Alabama and Florida). The Corp will also economically benefit coastal communities through education, training, and employment opportunities. NOAA describes the Conservation Corps as a job and skills training program for local citizens to learn about habitat conservation and restoration who will begin to generate skills that could help workforce development in this field. The program will provide paid, hands on work experience in on the ground restoration projects. One of the goals of the Gulf Corps is to introduce local citizens, including youth and veterans, to opportunities in environmental restoration careers. The program will last for three years and will have representation in each of the Gulf coast states. Approximately $1 million of restoration work will be accomplished in each state.